The Honeywell 6104 Steel Security Box is small and lightweight, but still big enough to suite your needs. Honeywell Company is a long standing brand that creates solutions to improve the quality of life, safety, and security for people all around the globe. Solid construction from a solid company is what you can expect here. This product is manufactured to the highest quality available with a stylish and innovative design. The outer dimensions of the security box are 4.2 inches high by 12.7 inches wide and 8.7 inches deep. The unit weighs in at only 5.3 lbs. Making it compact and light weight enough to transport anywhere. This is made easy using its convenient carry handle and can be easily concealed anywhere. Including the top of a closet, under the seat of your vehicle, under the bed, or in your nightstand or desk drawer. The Honeywell 6104 features a key lock entry for security and comes with two entry keys. All keys are numbered. If the keys are lost, Honeywell will be able to replace them. To ensure no unauthorized person is able to receive the keys to your security box, Honeywell requires ID information. As well as product information in order to issue a replacement set. Being light weight does not mean it skimps on security. Its quality, double steel wall construction features a layer of fire resistant insulation in between the steel walls. Ensuring anything you place inside will be safe and secure. This small security box has ever more features. Such as its removable padded foam floor that offers protection from damage for your valuables. Additionally there is a scratch resistant powder coat finish to the box, and the concealed hinges provide security from forced entry. While the 3 year limited warranty gives you peace of mind that if something goes wrong, Honeywell will make it right. The only downside to this security box, much like other units, is the smaller size. 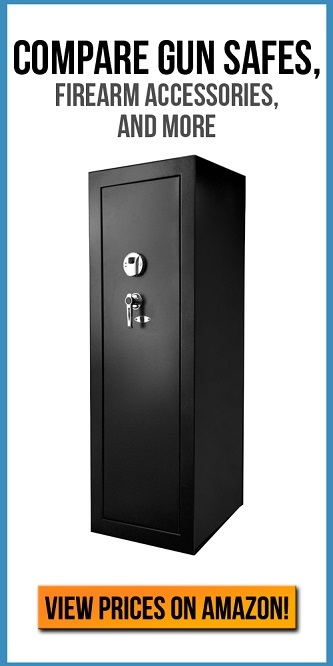 If you need more size you may be best off purchasing a full sized safe, or a larger security box. This is great investment for anyone. Sturdy and secure while still being lightweight enough to transport. It’s a quality product at an affordable price. With its convenient size and carrying handle. The Honeywell Model 6104 is everything you will probably need in a security/cash box, and then some.